When looking for a safe alternative to all the natural/herbal/new age/homeopathic/reflexology/relaxation/ beauty products out there, you might ask yourself beeswax or glycerine? Well why not ask yourself, soy wax? Soy wax is quite a recent invention. It was only in 1991, when Michael Richards, when looking for a cheaper alternative for beeswax, that he developed soy wax. 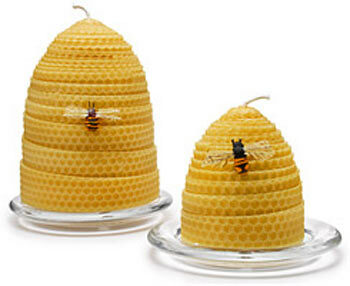 There was a big demand for natural wax candles, but beeswax was about 10 times more expensive than paraffin. As he entered the candle industry with beeswax products he realized there was a growing demand for natural wax candles. Micheal Richard tested different natural plant waxes and finally ended up with a vegetable wax which was made with partially hydrogenated soy oil, coconut oil and palm oil. He also blended beeswax with soy wax to make an economical natural wax candle. Soy wax doesn’t burn you. Soy wax is good for the skin. Soy wax candles burn all the way down, equally, without sinking in the middle! Soy wax seems to be the way to go, but maybe I should just mind my own beeswax?